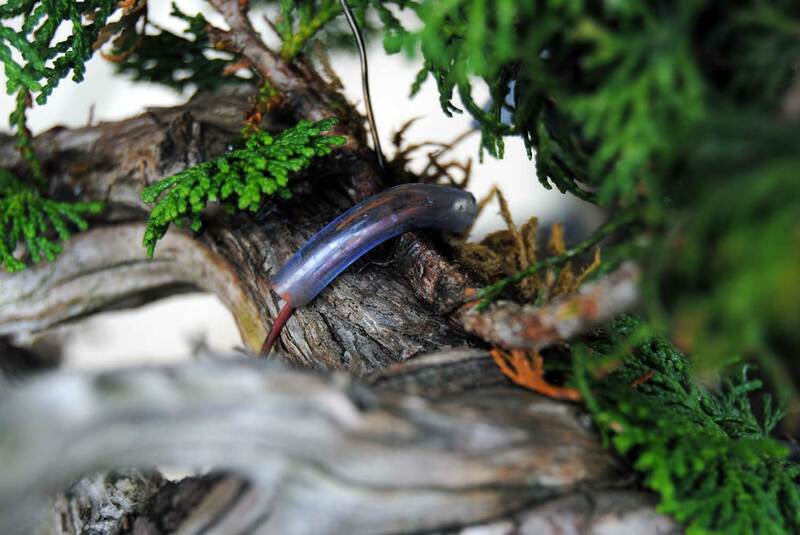 This serpentine tree was collected in the spring of 2013. 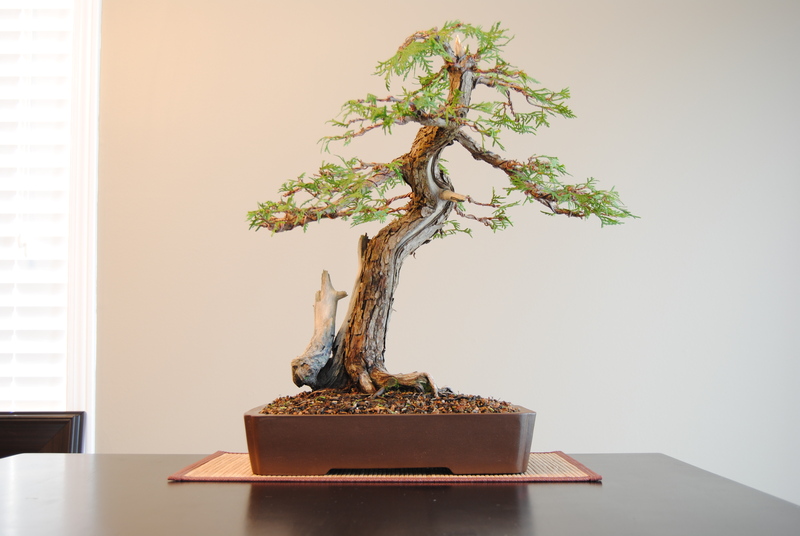 I’ve always admired Erik Križovenský’s bonsai containers and thought this tree would be a great candidate for his unique style so, in 2014, I commissioned him to make one for this tree. Many people have tried to imitate Erik’s style of containers, but I’ve never seen anyone get it quite right. 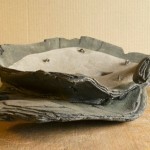 Furthermore, Erik has an incredible eye and designs containers to specifically match the style of each tree. 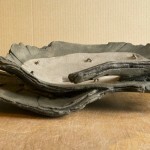 Erik is based in Slovakia and his work can be seen on his website Atelier Bonsai Element. I hope you enjoy the following photo essay. Spring 2014, still in an untouched state one year after collection. 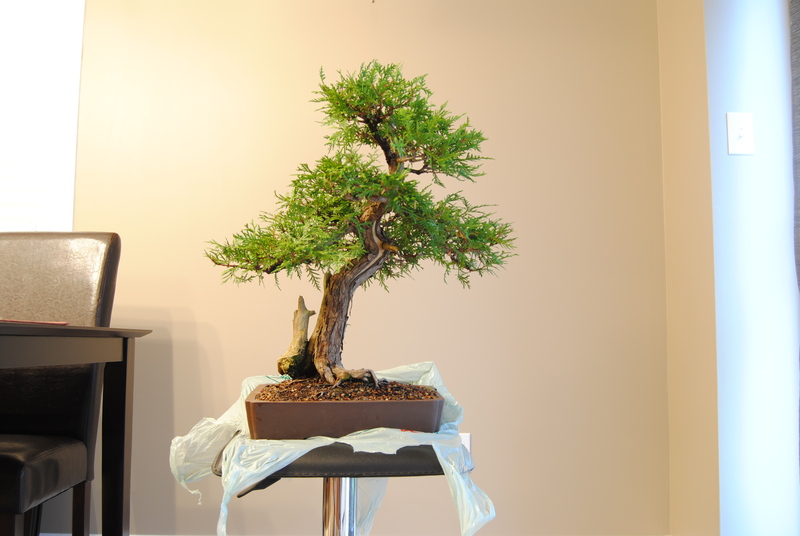 This tree recovered faster than most, so received a rough initial styling in June 2014. This was the picture I sent to Erik for his design input. Erik’s initial design. After some minor revisions, I gave him the OK to make the pot. As of last week it had recovered from the repotting and was ready for work. After deadwood work, thinning, and detail wiring. If it fills out as planned it could potentially be displayed this fall. This tree is awesome material for many reasons. It is collected so it has character. The movement and branch placement is practically textbook perfect for an informal upright. 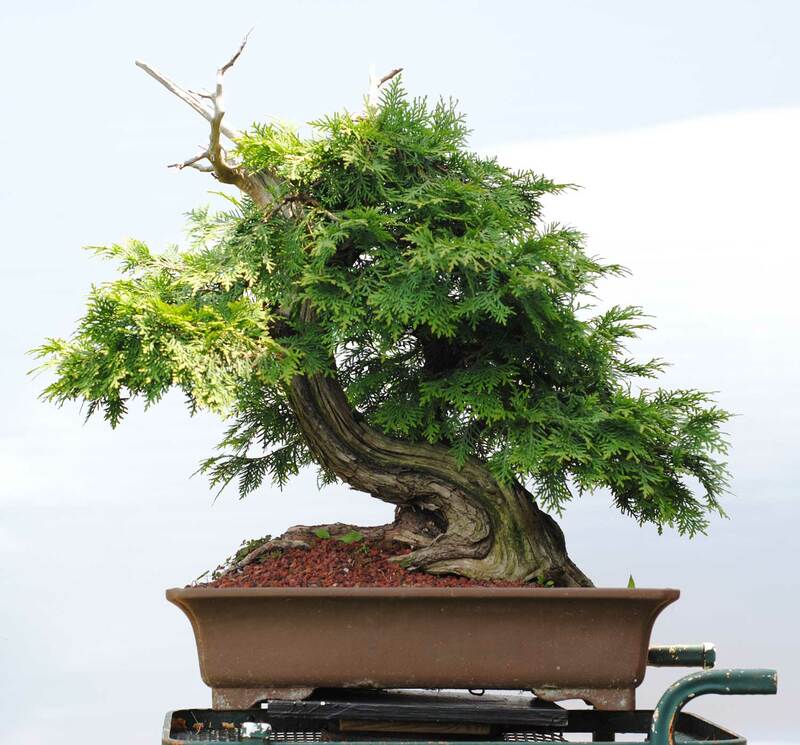 It is planted in the correct position in a good pot and, perhaps most importantly, the previous owner knew exactly how to maintain Thuja foliage, so it had an abundance of fine twigs which could be used to build foliage pads. In short, all the hard work was already done by the previous owner over the last 7+ years. I just had to put some wire on it and make it look pretty! The work involved thinning the foliage and simplifying the branching, wiring everything, focusing the movement of the tree to the right, and shortening the apex. The deadwood was also cleaned and bleached. The back of the tree is awesome. I would like to try to make this the front one day, but it won’t be easy. For now I will enjoy the current front. 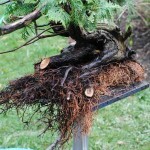 Well, my attempt at bud grafting hinoki on this Thuja in the spring failed quite miserably. Of the three scions I grafted, only one actually started to push new green tips, but it soon fried once the heat of the summer arrived. Here is my attempt to use an approach graft. 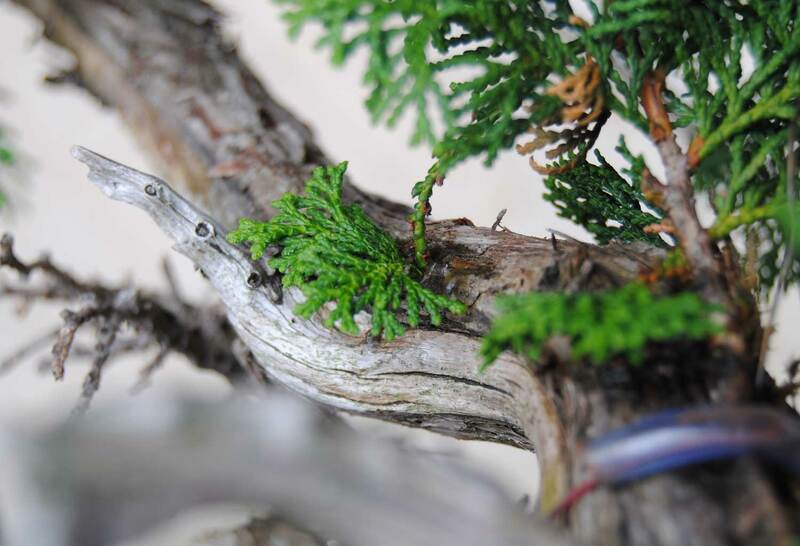 Approach grafting on junipers is often done in the summer. I know this is not a juniper, but I think that Thuja and junipers have a lot in common in terms of their physiology. I have no evidence to back that up except for watching them grow in my garden over the years. I think the summer is a good time for grafting because this is the time when the trees are really throwing out new wood/callus tissue and wounds close up quickly. Also, sap flow is very high. I’ve done some thread grafting on deciduous trees in the summer with good success. I wouldn’t try any sort of bud grafting in the summer as the scion would probably get fried really quickly. 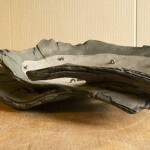 The first step was carving a channel using a dremel set at low speed with a sharp cutting bit. I did my best to make the channel the same diameter as the scion, and the depth was about half that. The wound was cleaned up with a grafting knife. 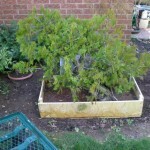 Here is the plant that I am trying to graft to the Thuja: Chamaecyparis obtusa ‘Kosteri’. A really lovely variety and somewhat stronger than ‘nana’. 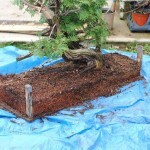 The next step was securing the hinoki and Thuja containers together. 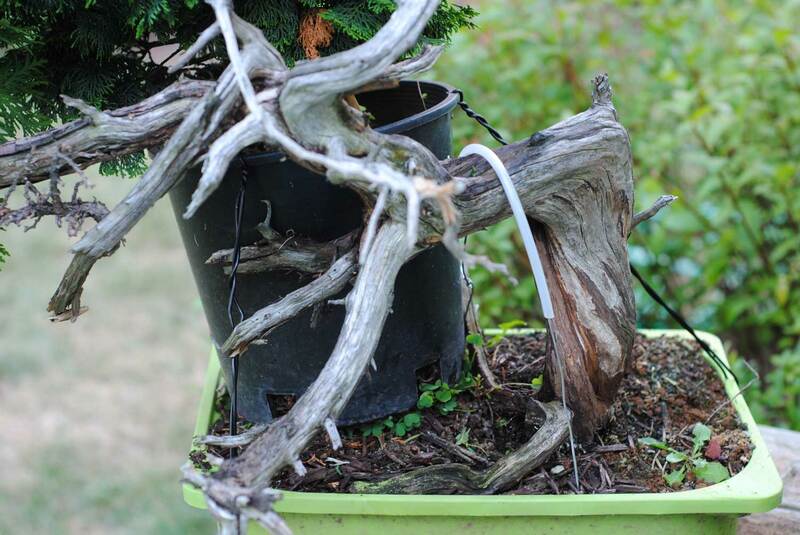 In this case I simply rested the hinoki pot on top of the Thuja and tied the two together with three strong guy wires until they were rock solid. It is very important that they are securely mated so they can be moved around together through the seasons. Even in the best case scenario it could be a year or more before the two are separated. It would have been easier if I had hinoki cuttings in small pots, but this is the only material I have to work with. Making a bunch of cuttings of this variety for future grafting attempts is on my list of things to do. Here is the branch to be grafted with the bark scraped off to expose the green cambium. It is probably a 2 year old branch. Before scraping, make sure you do a test fit to make sure you are scraping in the right place! I fit the scion into the channel and secured it in place with two wires with some protective rubber. It must be very tight. Try pushing on the scion – if it still flexes into the channel, it is not making good contact and must be tightened. The whole thing was then covered in grafting wax. 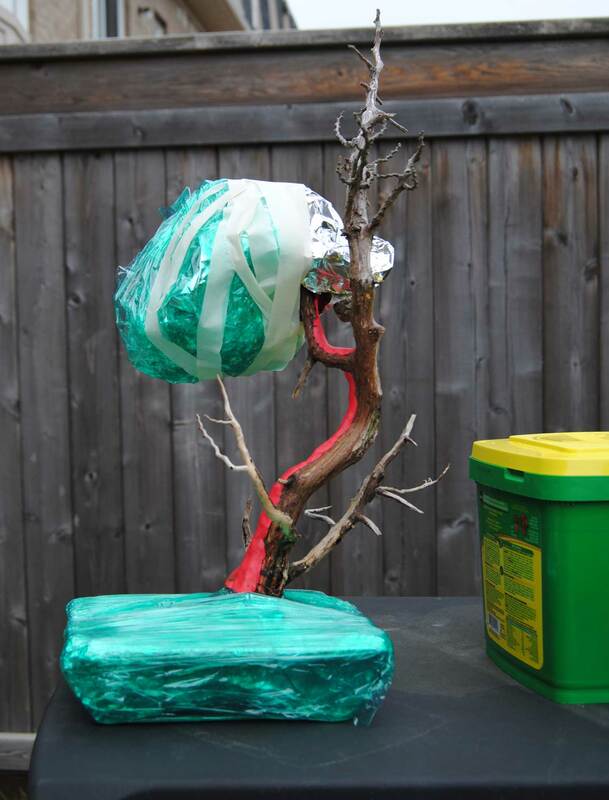 Next, I covered the graft with a small piece of damp sphagnum moss, and covered that with a piece of plastic mesh which was secured to the trunk with three wires. The purpose of this was twofold: 1) to protect the moss from birds and drying out too quickly, and 2) to distribute more even pressure over the graft. Here is the happy couple. The graft is circled in red. You can see that I did some trimming of the foliage around the graft to create a nice opening so the graft will still get good sun exposure. 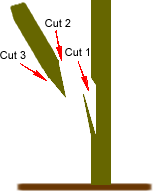 There are lots of types of approach grafts, but I chose this method because I like the idea of the long channel creating a lot of surface area for cambium-cambium contact. No matter the method, I think the key points are to get good cambium contact, and lock the graft into place so it absolutely cannot move. 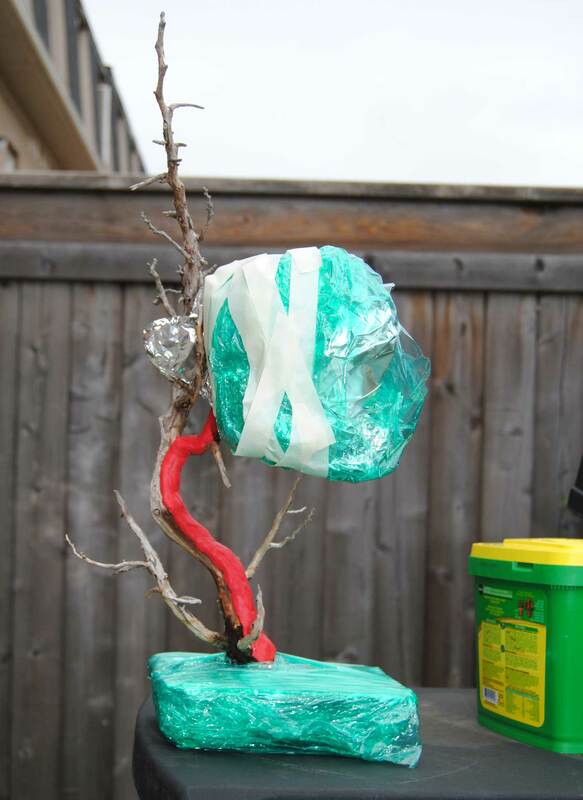 If the grafted branch continues to grow, that is a good sign but does not mean much. It will probably be next spring before I take a peek at whats going on underneath. This little thuja (~30cm to top of jin) was collected in spring 2011. 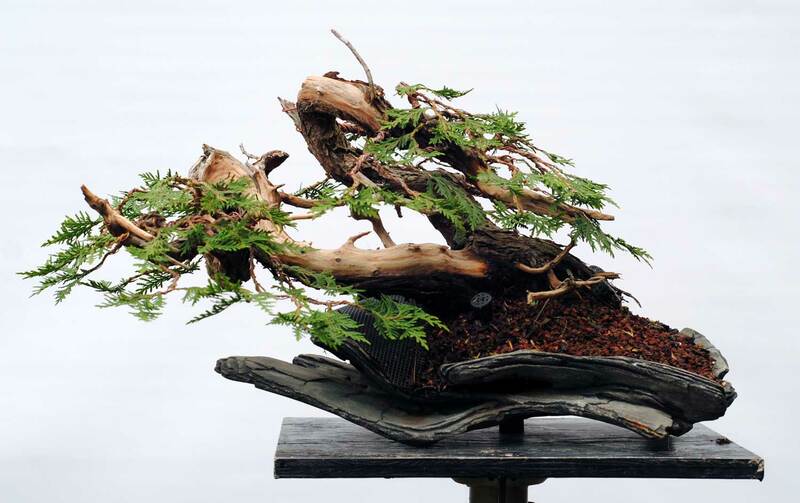 It’s not exactly a jaw-dropper, but it has some nice movement, natural jins and it reminds me of the big old thuja I see with dead tops. Preserving the old flaky bark while extending the deadwood was difficult, and some was inevitably lost. Some was actually intentionally removed as it was giving an illusion of inverse taper. This tree probably won’t be touched for the rest of the year except for some light trimming if the foliage bounces back strongly. 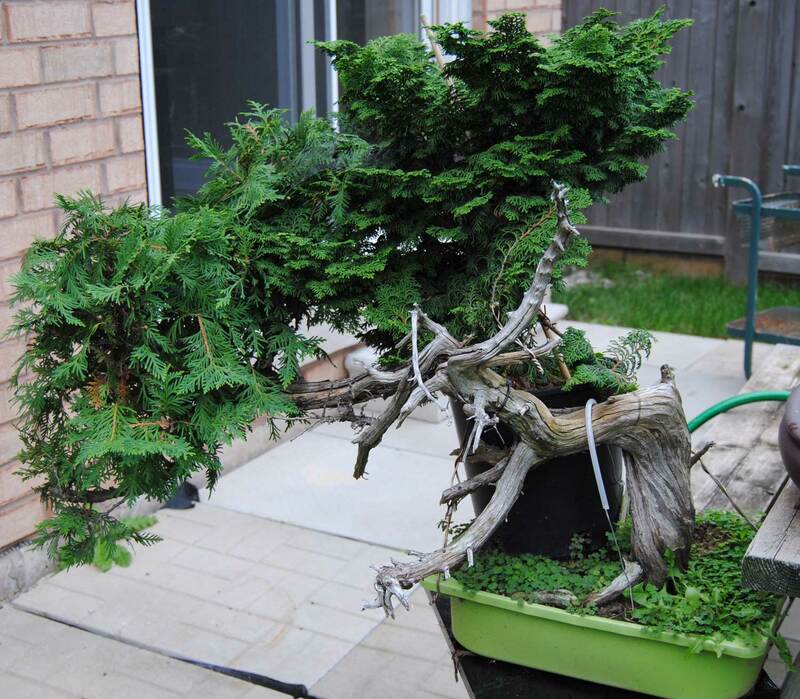 Mother nature has done a nice job on this little cedar. 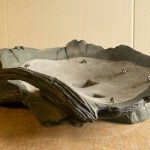 It was collected in April and the shallow, dense root ball allowed it to be planted right into a bonsai pot. 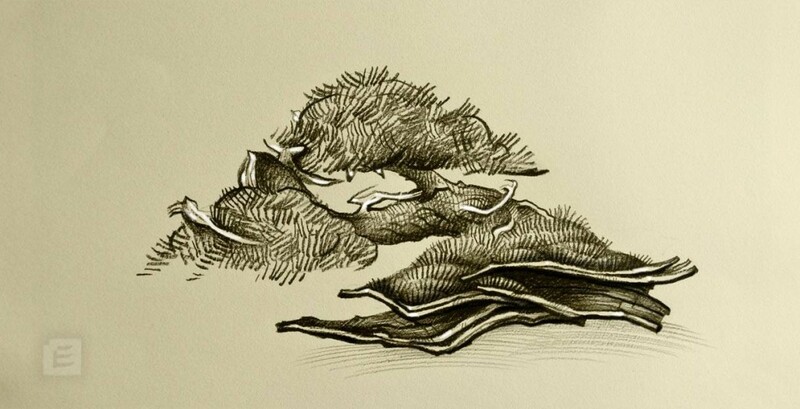 The shaggy growth hides much of the details, but this tree has excellent movement and taper. 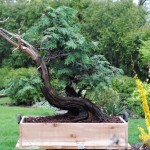 Not only that, it has perfectly placed branches with lots of interior growth. If it grows well this year and next, I would expect this tree to be show ready in fall 2013. This is probably the front of the tree. 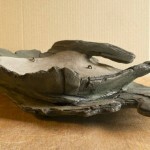 The Chuck Iker pot was chosen just because it was the right size, but it is actually a pretty decent match to the tree. One of my favourite features of this tree is the first branch, Shown here from the back, you can see that it has excellent natural movement and character. Like many old Thuja branches, it has been torn down from the trunk, presumably by heavy snow and ice. The relatively fresh looking wood here makes it look like the tear happened only in the last few years. 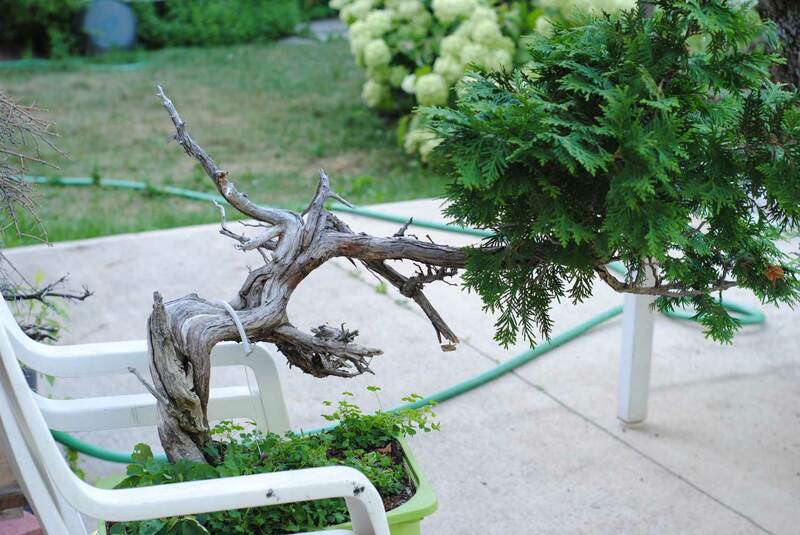 Although this tear happened in nature, it can be replicated artificially as a bonsai technique to redirect an old upward growing branch. Its not so much the tree that is huge, but rather the ‘coffin’ that it is planted in. When it is a bonsai, it will be an easy one-person tree… but its still my biggest Thuja (actually, I think its my biggest tree period). I collected this in the fall of 2010 and did not want to disturb the huge flat root system, so I just built a box around it. It took two people to lift it, but the main issue is that I was stupid enough to build it out of plywood so it was starting to fall apart after a few months. The purpose of this repotting was simply to put it in a more sturdy box that is about 1/3rd the size, and to wash some of the mucky soil away from the inner rootball. 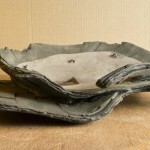 As collected in October 2010. 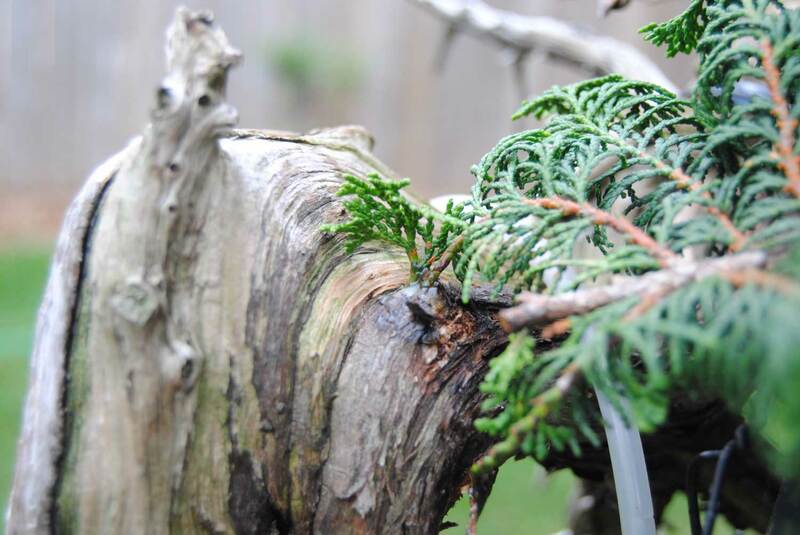 Thuja can develop strong root systems after one growing season if they are watered and fertilized frequently. It helped that this tree was collected with a mostly intact rootball. Raking away the loose soil. A few large roots were reduced. This is as far as I took the rootwork. I would say about 1/3rd of the roots were removed. Hopefully this season the tree will continue to grow well, as there is lots of work to do on it still! Providing good conditions for newly collected material is always tricky when you don’t have a greenhouse. The goal is to protect from wind and intense sun, but the trees still need some sun to recover (especially spruce and larch). I have my trees up against a fence, and a double layer of shade cloth protecting the southern exposure. 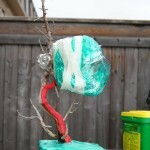 As trees gain some strength, I will remove one layer. The strongest trees may be moved into direct sun later in the season. I am also misting them as frequently as possible. It has been very windy the last few days, which is not a good thing. This year, I also gave my newly collected trees a sprinkling of systemic imidacloprid granules. This is mainly to help the larches fight off any borers they may have brought home with them. I suspect that borers contributed to the decimation of last years crop of collected larch. Something else new I’ve tried this year with my larch is screwing the tree into the wooden box instead of wiring them in. I got this idea from Sandev Bonsai. 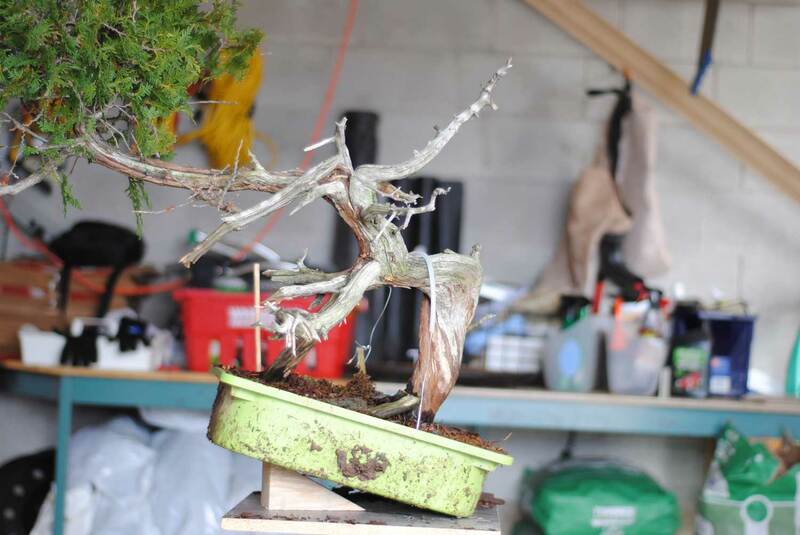 It can be very tricky to securely wire yamadori into pots. 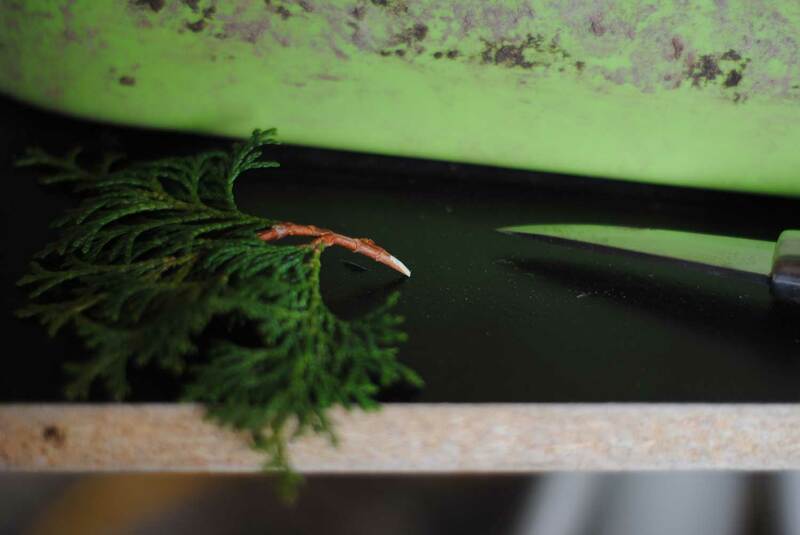 Since larch usually come out of rocky soil with few feeder roots but a number of thick stubs where large roots were cut, it is much easier to drill in a few brass wood screws to lock them into the box. It is imperative that these trees don’t wobble to protect the fragile roots. This is not a rule, but you can see that Thuja in some stressed conditions (especially drought, poor soil, and crushing ice) grow as little as 2 radial centimeters every 40-50 years. 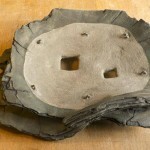 This promotes the development of great bark and deadwood character in small trees. 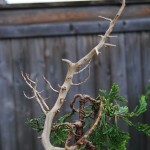 Good junipers cannot be collected in my part of Canada, but Thuja has much of the drama that is so desireable in Juniper bonsai, combined with a unique ruggedness. The picture of the rings is from where the old top of this tree was cut back after collecting (not a dead tree 🙂 ). This tree was sold last year. 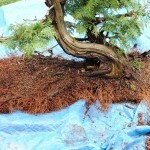 Many people think that the foliage of Thuja is untameable and unsuitable for bonsai. 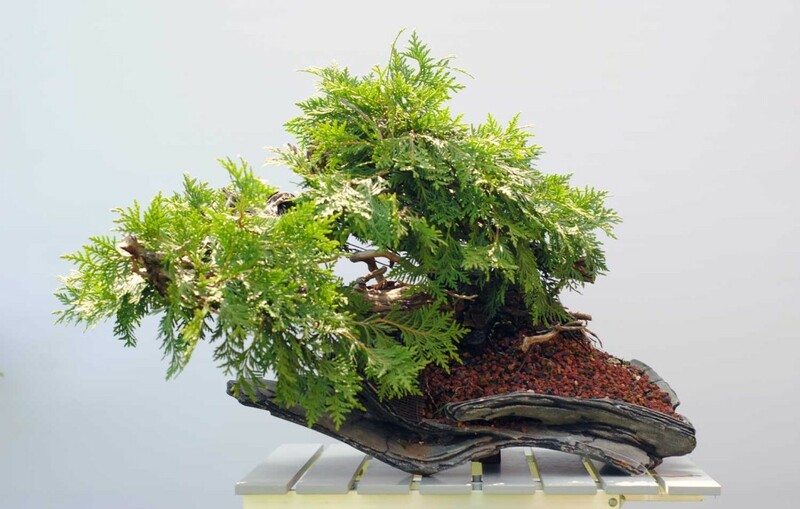 This is not true – a very refined image can be produced with the native Thuja foliage, especially for medium to large bonsai. 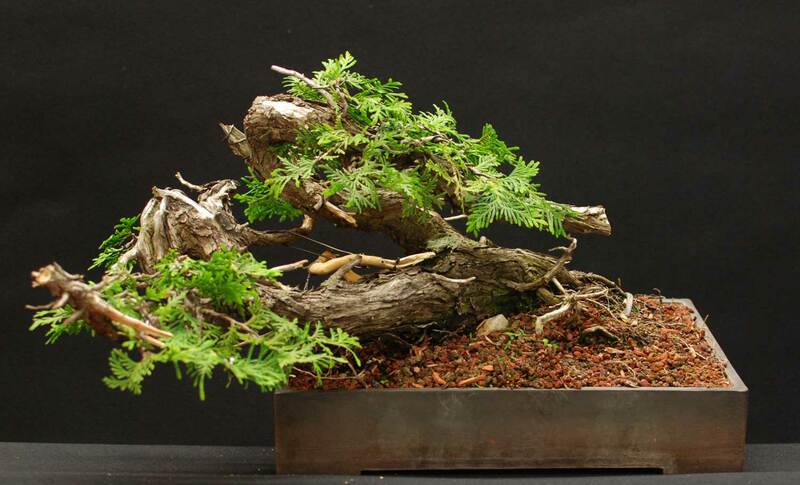 However, there is always the possibility of grafting the more fine hinoki foliage on if you are truly dissatisfied with the native Thuja. The two species are, after all, quite similar. 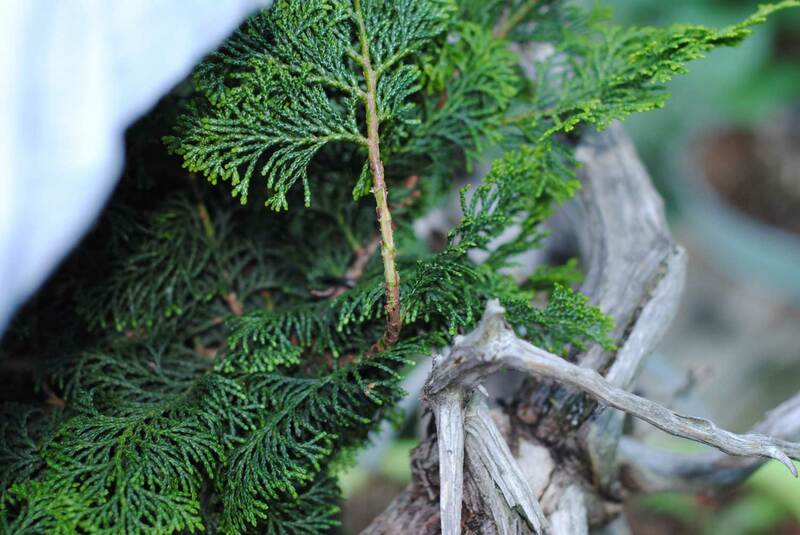 While hinoki has better foliage characteristics, thuja has better vigour and wild specimens have incredible deadwood features. 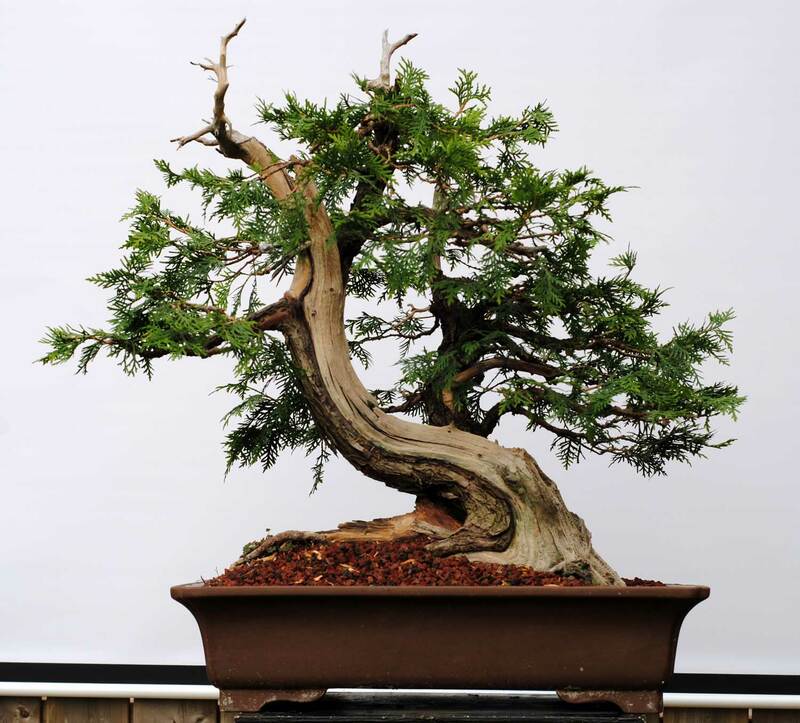 When I showed pictures of my collected Thuja to Junichiro Tanaka (owner of Aichi-en in Nagoya), he described them as “Hinoki Juniper”. But even though I am content with the native foliage, sometimes grafting is necessary. Take this tree as an example. 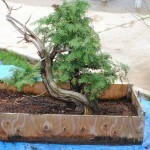 When it was collected, I planned on building the bonsai from the branch closer to the trunk. The longer section was to be cut off when the tree recovered. The long, far away section of foliage had no purpose for the bonsai design. Why didn’t I cut it off when I collected it? Well, I’m not totally convinced by the “balancing the roots with the shoots” idea. It seems like common sense that leaving more foliage will give the tree more strength to produce new roots, as long as you can minimize transpiration with misting. Well, it looks like I ate my words here. The most important branch died, of course. I think this is because the roots supporting it were damaged when collecting. 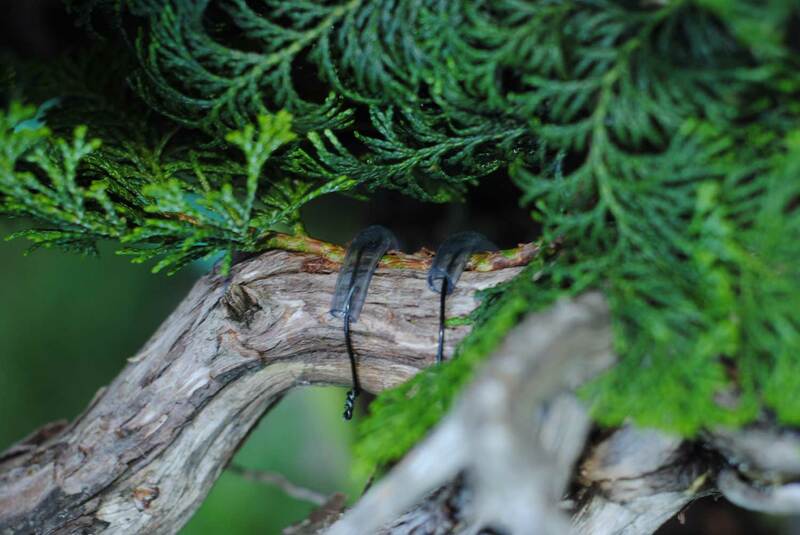 Cedars have a very “divided” lifelines that are distinctly attached to roots. If I killed the roots that supported that branch, there was not much hope. 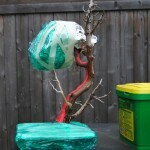 The trunk is nice enough that the tree is worth setting aside as a grafting project. 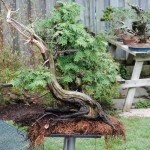 I have never grafted cedar, and this will be an exciting project for this year (and maybe a few years to come). 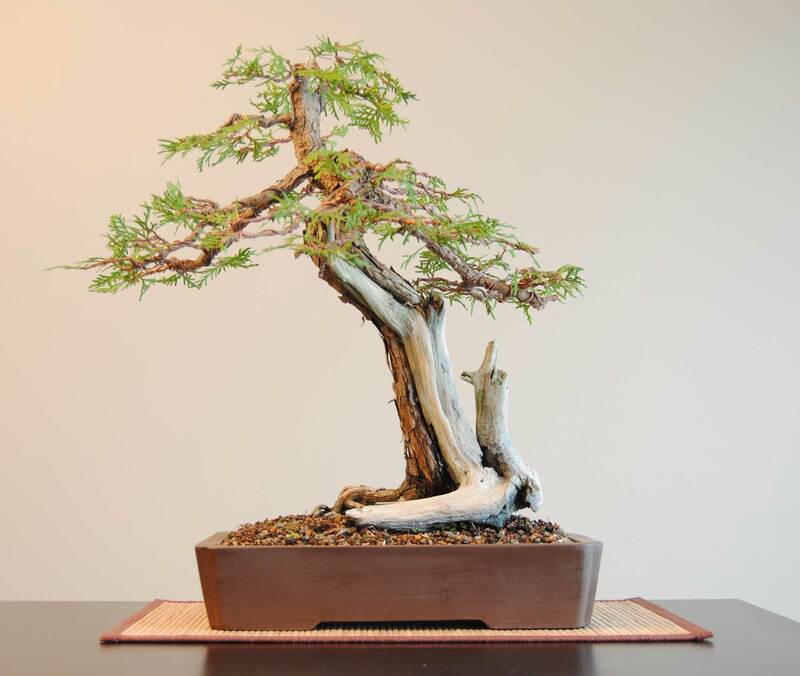 Nick Lenz has a “hinoki cedar” that is rather famous in the Eastern North America. 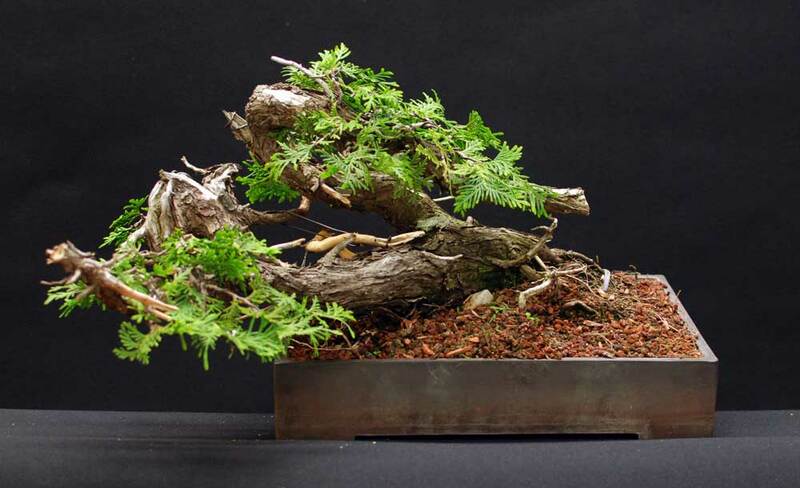 It took him something like 4 years to completely replace the thuja foliage with hinoki. 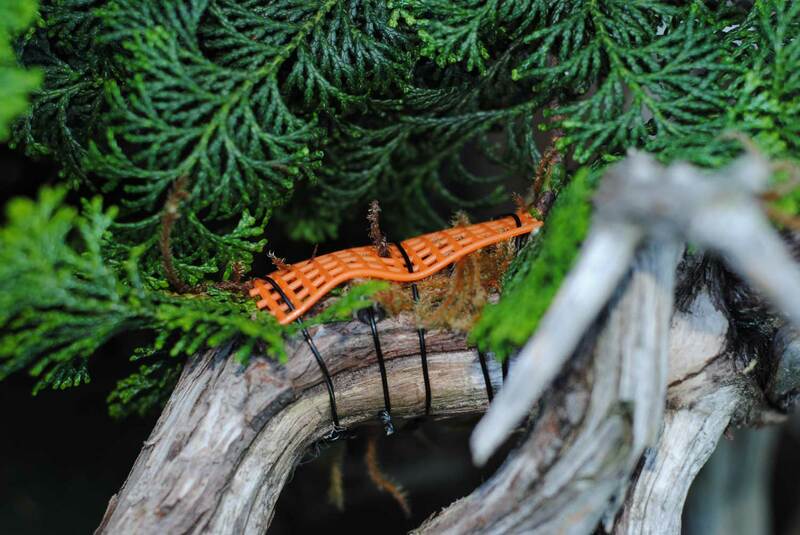 I believe he used thread grafts for this (yes I know… sounds insane) and Chamaecyparis obtusa ‘Nana’ (dwarf hinoki). 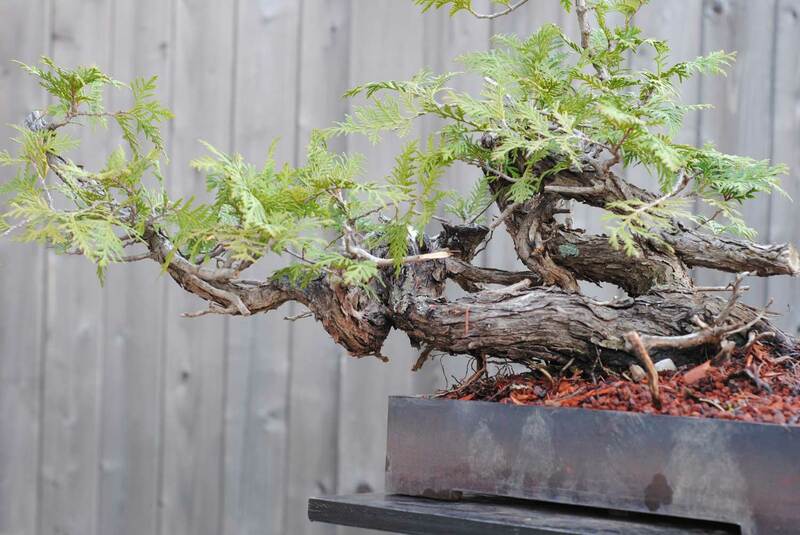 An older picture of Nick Lenz's "Hinoki Cedar", created by grafting Dwarf Hinoki onto a collected Thuja occidentalis trunk. 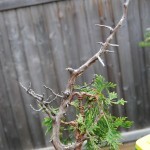 I am not planning on using thread grafts, nor am I planning on using Dwarf Hinoki. 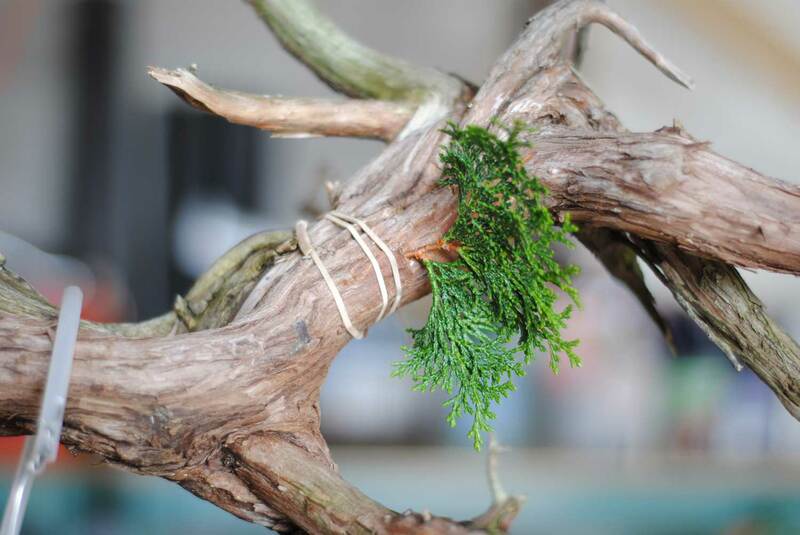 I will try two types of graft – approach graft and bud graft using Chamaecyparis obtusa ‘Kosteri’. This variety seems somewhat more vigourous that ‘Nana’. The foliage is not as compact, but it is still very fine, dark green, and somewhat less curly than ‘Nana’. 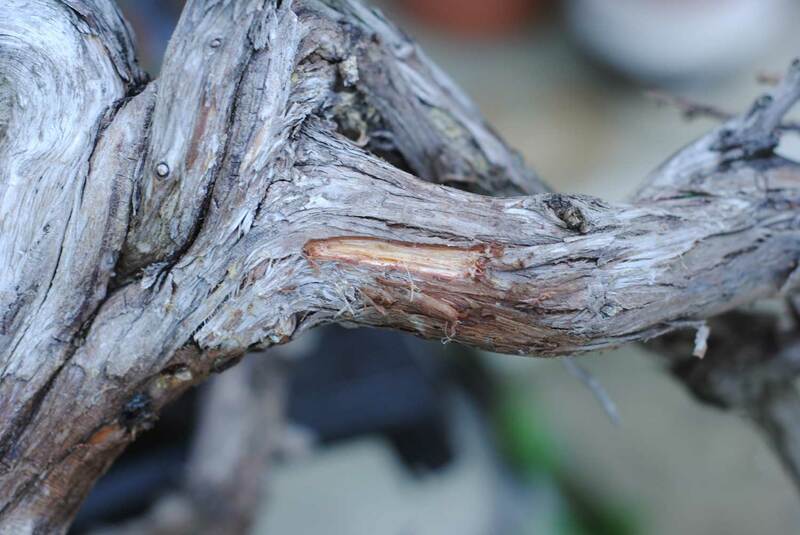 Hopefully the greater vigour of Kosteri will accelerate the grafting process. Check back soon for updates.